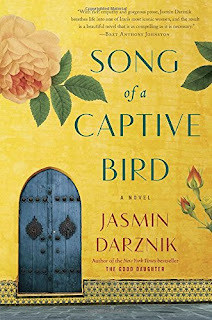 Jasmin Darznik talks about SONG OF A CAPTIVE BIRD, the Iranian poet Forugh Farrokhzad and her struggle not to be silenced. Thank you so much, Jasmin, for being here. What was the “why now” moment for you to write Song of a Captive Bird? As one of the most trailblazing women of the twentieth century, Forugh had fascinated me for years and years. My mother brought a book of her poems to America when we fled Iran in the late 1970s, and I’d grown up with a sense of how she’d been idolized in Iran, especially by young women, but also how controversial she’d been. One of Forugh’s translators, Sholeh Wolpe, tells the story of an older Iranian woman demanding to know why she was bothering with “that whore Forugh”—five decades since her death, she still elicits that response, so you can imagine how she scandalized her society during her lifetime. Soon after publishing my first book, The Good Daughter, I began casting about for a new subject. Forugh Farrokhzad quickly rose to the top of my list of possibilities. Her life was shot through with drama, but when I began my research, I found no existing work offered what felt like a full and true portrait of her, which led me to the place where books are born: I had to write the story I couldn’t find. I was absolutely haunted by the story of Iranian poet Forugh Farrokhzad, raised to be compliant an silent, forced into marriage, and becoming a writer both praised and reviled. What made you decide to write this as fiction, rather than fact? I’ve always been drawn to women whose stories have been erased or obscured. Despite having been an icon—and in some sense because she had been such an icon—when she died, Forugh took much of her story with her. Many of her letters and papers disappeared. It’s possible they were destroyed by her lover and her family. Certainly, those closest to her were strangely silent once she died. That silence would have qualified as a nightmare had I attempted a biography; for a novelist, it created space into which I could risk infusing a different kind of truth. I love E.L. Doctorow’s line about history telling us what happened and novels telling us what it felt like for things to happen. What I most wanted was imagine what it took for a woman of Forugh’s time and place to so utterly transform herself, both as a woman and an artist, and what it cost her to strike out in such a bold way. Your first, NYT Bestselling book was a memoir about your mother. How different did it feel to write a novel? It actually felt quite similar. The Good Daughter, while a true story, has the feel of the novel in that it’s carried along by a dramatic story line, and like Song of a Captive Bird, it began with a long, deep dive into historical archives. And then there’s my obsession with language, which I carry everywhere with me. I do think memoirs tend to tax you at a higher emotional rate, especially if you’re writing while your family members are alive and thus prone to judgment, as mine were. On the other hand, taking on the life of a cultural icon was truly daunting. What if I got it wrong? What if I messed it up? The stakes felt high—and while I was writing I had to forget them entirely. To simultaneously pretend that no one would ever read what I was writing while believing nothing mattered more than writing this story. I imagine the research must have overtaken you. What stunned you the most? 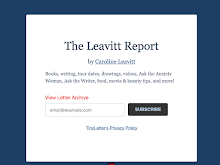 Was there anything in particular that changed the factual story for you? I’d been researching Forugh’s life for a while when I came across a reference to her participation in the political protests that rocked Iran during the early sixties. As I went deeper into the research, I began to learn of a spate of mysterious deaths and disappearances, many involving writers, artists, and intellectuals of the time. I wanted a way to connect those two narratives, and that’s when I came up with the story of Leila Farmayan and her brother Rahim. It allowed me to preserve certain elements of the factual story while breaking free of others, and it gave the novel the shape and urgency it needed to satisfy a reader for whom Forugh, and maybe also Iran, was not familiar. This novel is so timely, so important. In your author’s note, you ask the question about “what were the rules? What were the possibilities?” for an Iranian woman during Forugh Farrokhzad’s time. It’s a question that could be asked today because you have to know the rules to break them, and I think you have to be brave enough to risk the possible to make it happen. Can you talk about this please? Every woman, in her own way, asks those questions. The Me Too and Times Up movement have forced them to the surface, but they’ve been there always. The answers might not play out as a public spectacle in the way Forugh’s did, but it seems to me we are all still fighting for our lives. How is it that I can read a story like “Cat Person,” which tells the story of a twenty-something college student and find my own twenty year-old self so eerily reflected in its pages? The persistence of those experiences breaks my heart. We’re fighting in intimate spheres—our minds and our relationships—and public ones, too. That’s why I think its so important to read and learn about exemplary women—women who speak out and step into their power. You cannot become what you can’t see. We need to see more women acting bravely, and also to make ourselves be seen in brave ways. I’ve just started a novel set in 1920s San Francisco. For a long time all I knew was that I had to write about that time and place, and eventually I found a character to set loose into that time and place. I think you have to be very interested in your characters—you spend hours every day in their company, so it’s essential to choose well. To me the great joy of writing historical fiction is that you get to live in another time. I find it highly appealing to escape my own life, though of course you think you are escaping only to find yourself staring down all your same old obsessions. I do love to challenge myself though, and with this novel it’s telling a story in a shorter time frame. My two earlier books each cover several decades, and I’m interested in what can emerge in a more compressed form. What kinds of depth are possible on a more intimate canvas. I think as women writers it’s important to talk about what makes our work possible—and often impossible. My whole writing life has taken place within my life as a mother and, more recently, a caretaker to my own mother, who has Alzheimers. The thing I said earlier about fighting for own’s life is very much on my mind these days. Writing demands vast reserves of solitude and reflection. I describe it sometimes as moving to another planet, which is not so easy when you have so many earthly responsibilities. I didn’t begin writing until I was in my thirties, and on some level I think it was because I knew I’d have to be ruthless about creating the time and mental space to write, and I wasn’t yet willing to be ruthless. It makes me angry now, thinking of all that lost time, but I can tell you when I did finally start writing it was like: Okay, game on. At least for these two or three hours, my time is mine and I’m going to use it like nobody’s business.